The departure of the United Kingdom from the European Union, dubbed “Brexit,” has sparked significant economic global uncertainty. Two Brexit-related issues especially relevant to the pharmaceutical industry are: 1) whether the UK will ratify the proposed European Unitary Patent System, and 2) whether London will still be the site of the thematic patent court dedicated to pharmaceutical patent disputes. These issues are more critical than ever as the UK has officially invoked Article 50, the mechanism by which members of the EU withdraw from the union. Although the UK may still ratify and join the Unitary Patent System before officially leaving the EU, it cannot join the Unitary Patent System after withdrawing from the EU. Further, when the UK formally leaves the EU at a later date, it would no longer be covered by the Unitary Patent System unless the agreement is amended. 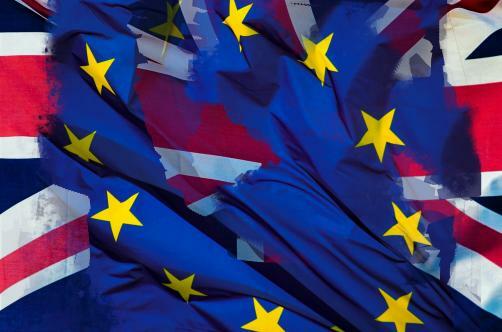 Conflicting information has created additional uncertainty regarding to what extent the UK will help facilitate the Unitary Patent System as it promised to do prior to Brexit, and whether the UK will ultimately join the Unitary Patent System at all. In this article, we explore the possible effects of Brexit and Article 50 triggering on the Unitary Patent System and address the real-world consequences for the pharmaceutical industry. Under the current European patent system, an applicant for patent protection has the option to file applications in individual European countries, but most applicants choose to file and prosecute a single European Patent application through the European Patent Office (“EPO”). Once granted, a single European Patent may be entered into multiple contracting states and immediately receive patent protection in each. However, even a patent obtained through the EPO must be enforced in each European country individually. Although the EPO system greatly streamlines the process for gaining patent protection in Europe, enforcement is still performed within the national court systems of each individual state, often requiring multiple simultaneous or overlapping litigations to effectively pursue infringers. The Unitary Patent System proposes to further streamline enforcement of a European Patent by creating a Unitary Patent that can be enforced in a Unified Patent Court (“UPC”) system. Unitary Patents would concurrently provide patent protection to 25 of the member states of the European Union, and could only be enforced in the singular UPC system. Rulings by the UPC on a Unitary Patent would apply consistently to all 25 member states within the Unitary Patent System. Significant cost savings are expected with the Unitary Patent due to reduced translation costs, a single maintenance fee, and centralized enforcement for patent owners. Further, stability and predictability associated with a unified system would facilitate more effective patent strategies for technology-based companies like those in the pharmaceutical industry. Under the UPC agreement, in order for the UPC system to come into existence, 13 EU countries must ratify the agreement, and of the 13 required, the three EU countries with the most patent filings (currently France, Germany and the UK) must be among the signatories. Once ratified, the UPC system will comprise three original courts of first instance (Central Courts) currently planned to be located in Paris, Munich and London. Importantly, the London Central Court would be dedicated to chemistry and pharmaceutical patent disputes. Appeals from courts of first instance are appealable to the Court of Appeal in Luxembourg, and further appeals regarding interpretation of EU law would go to the European Court of Justice (“CJEU”), which would have ultimate jurisdiction over matters submitted to the UPC. As proposed, the Unitary Patent and UPC system have the opportunity to significantly decrease cost and improve efficiency for pharmaceutical industry patent procurement and litigation within Europe. Because the pharmaceutical industry typically validates European Patents in a large number of European states, the savings in maintenance fees and translations alone could be massive. As an example, the EPO recently released a cost comparison of entering a single traditional European Patent into all 25 states that a single Unitary Patent would cover, and reported that the filing and maintenance costs for a full 20 year term of a patent would be €159,500, while the same application prosecuted under the Unitary Patent would only cost €29,500. Maintenance fees for Unitary Patents are proposed to be an amount equal to the sum of the fees in Germany, France, the Netherlands and the UK under the current European Patent system. Reductions in translation costs associated with the Unitary Patent could provide even more immediate savings. Under the current European Patent system, each contracting state may require that patents be translated in order to be enforceable. Due to the average page length and complex scientific terms associated with pharmaceutical patent applications, translation costs alone can be hundreds of thousands of euros for a single application. In contrast, the Unitary Patent allows applications in English, German or French to be translated into only one additional language after the grant of the patent (and this requirement would only be in force for an initial 12 year transition period, after which no further translations would be required). The pharmaceutical industry will also likely benefit significantly from the pharmaceutical themed Central Court having its location in London. English speaking countries, such as the UK and the United States, are home to many of the largest pharmaceutical companies in the world; therefore an English speaking, London-based pharmaceutical court would provide ease of court access to many patent owners and streamline processes and procedures within the court system. Despite the potential advantages, apprehensions in the pharmaceutical industry regarding the Unitary Patent and UPC system still linger for a number of reasons. Due to the nature of the UPC system, if a valuable and profitable patent is ultimately found to be invalid, it cannot be enforced anywhere throughout the 25 contracting European states. Such a finding could represent a significant financial and strategic loss for the patent owner. In comparison, the current European Patent system provides an incremental process in which a patent is considered by each contracting state, allowing it to be found valid in some states and invalid in others. While inefficient, such a piecemeal system may be advantageous in certain situations. Another concern is that, as currently proposed, the Unitary Patent system does not contain a provision for Supplementary Protection Certificates (SPCs), which provide extensions of the patent term due to delay in regulatory approval similar to patent term extension (e.g. for FDA approval) in the United States. Pharmaceutical patent applicants will want to confirm that similar SPC provisions have been added and fully implemented before filing applications with the Unitary Patent System. Recent political developments have created great uncertainty for the UPC agreement. Originally, the UK was expected to shoulder a great deal of the responsibility in creating the UPC system. As such, the UK vote in favor of the Brexit referendum, and more recently the UK parliamentary vote to trigger Article 50 (starting the clock on a two year period for withdrawal), have led to doubts that the UK is willing or capable of taking on such a responsibility. This has shaken the pharmaceutical industry and others expecting the ratification of the UPC agreement because only EU member states can ratify the UPC agreement. However, the specific terms of the UPC agreement allow the UK to ratify the agreement before withdrawing from the EU, therefore, the prospect of the UPC coming into force is still very much alive, with the caveat that the UK will need to negotiate with the EU to enable the Unitary Patent to cover the UK after it leaves the EU. While it is uncertain whether the UK will ratify the UPC agreement, the UK government has stated as recently as November 2016 that it intends to do so, committing to “play a full and active role.” Still, the Brexit vote indicates a desire by the UK to have more sovereignty and independence from the EU. Therefore, it could be difficult politically for the UK government to ratify an agreement which would effectively submit the UK to more EU control. Recently, Prime Minister Theresa May called for an end to the CJEU’s jurisdiction over the UK. This is inconsistent with the UK’s previous plans to ratify the UPC because, as discussed above, under the UPC agreement, the CJEU would have jurisdiction over the UK in Unitary Patent matters. Furthermore, the triggering of Article 50 may have made UK ratification of the UPC agreement more difficult because there is little time for the UPC agreement to be modified to reflect the UK’s position on the CJEU before the UK officially leaves the EU. Further adding to the uncertainty, the UK Intellectual Property Office on April 28, 2017 announced that it is delaying ratification of the UPC agreement until after the snap general election in the UK on June 8, 2017. Although the snap general election has now resulted in a hung UK parliament, the UK government has continued to affirm its commitment to ratification of the UPC agreement. Looking forward, in light of this uncertainty, three possible resolutions to this situation and their relevance to the pharmaceutical industry are discussed below. First, the UK could ratify the UPC agreement as it currently stands before leaving the EU, which would keep the London based chemistry and pharmaceutical themed Central Court in London. Once the UK has ratified the UPC agreement, it is likely to negotiate with the EU during exit talks to enable the Unitary Patent to cover the UK going forward. If this happens, the benefits for the pharmaceutical industry associated with the Unitary Patent System discussed above should be fully realized. Second, the UK could choose not to ratify the UPC agreement before leaving the EU. This would likely delay the UPC System even further, as the EU announced on June 9, 2017 that the planned December 2017 start date for the UPC will not be possible, or possibly even result in the UPC agreement being amended and ratified without the UK as a signatory. If this were to happen, Italy would likely take the place of the UK in the group of the 3 EU countries with the most patent filings which must be among the signatories. In this situation, pharmaceutical companies would still have access to patent protection in Europe (without the UK) through the UPC system and in the UK through direct national phase entry, or patent protection through the current European Patent system where enforcement would still be performed country by country. Third, the EU may be able to amend the UPC agreement to address the CJEU’s jurisdiction over UK-based cases. Although amendments to the UPC agreement may be passed within the two-year exit talk process before the UK leaves the EU, amendments to the agreement are unlikely because the UPC agreement is clear about the supremacy of EU law and the role the CJEU will play. Furthermore, there is no clear way to limit the jurisdiction of the CJEU over the UK in the UPC and still have a Unitary Patent with unitary effect. Therefore, such a situation would likely create more confusion than it resolves. Under this scenario, Pharmaceutical patent filers would likely need to wait and see what type of agreement the UK and EU come to, and how such an agreement plays out in reality. The Unitary Patent System holds great promise for more efficient and effective application and enforcement of pharmaceutical patents in Europe. Lower application cost and more comprehensive enforcement would undoubtedly aid the pharmaceutical industry in protecting proprietary technology. However, with the UK triggering Article 50 due to Brexit, it is uncertain whether the UK will ratify the UPC agreement and whether London will retain the thematic patent court dedicated to chemistry and pharmaceutical patent disputes. If the UK fails to ratify the UPC agreement, then its membership in the UPC, the location of the pharmaceutical court and even the future of the UPC generally would be uncertain. The coming months will be crucial for the UK in deciding whether to remain with the European UPC while exiting the European Union. Pharmaceutical patent owners and filers will need to stay vigilant and stay tuned.